Snowboarding Boots - Free UK Delivery! 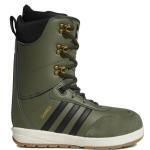 Snowboard boots are an essential piece of snowboarding kit. We offer a wide selection of snowboard boots to suit all ability levels, from leading snowboard brands such as Adidas Snow, Burton, Thirty Two, Salomon and Vans, chosen for their performance and durability. 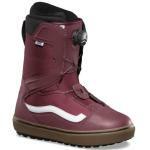 From advanced to beginners, freestyle to all mountain, soft to stiff boots, men's, ladies and youth snowboard boots. We've got all bases covered - traditional laces, fast track and boa lacing systems. If you need any help or advice choosing a new pair of snowboarding boots, feel free to give our friendly staff a call, in our Manchester store!